Many of the resources accessible through the Alma Jordan Library's website provide information about the Caribbean. 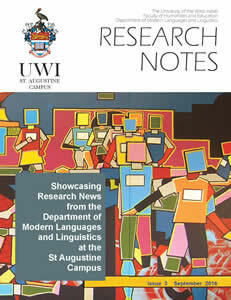 This resource highlights the databases which have primarily Caribbean content. Many of these listed here are not available through UWILinC, the Library's search engine. Thus patrons are encouraged to explore these resources individually. The Society’s “Selected Conference Papers”between 2000 and 2010. A cartographic history of the Caribbean islands. This collection includes maps dating from the 16th to 19th centuries, published primarily in Paris, London, and Amsterdam. Many of the maps are hand colored. Published by the Tapia House Group. Data supplied by CARICOM Member States. Revenues received from companies engaged in the extractive industries (mainly oil and gas upstream activities) . Showcases the research output in the department over the past academic year. A bibliographic database on adolescence health in Latin America and the Caribbean. 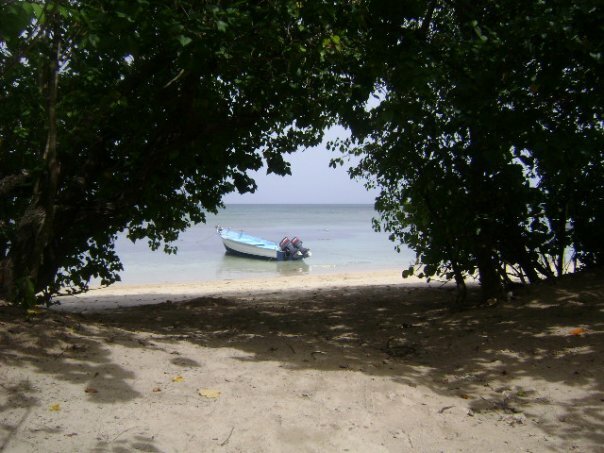 Audio archive of the BBC Caribbean programmes: 1988-2011. A number of bibliographic databases and scientific magazines of health information sources in Latin America and the Caribbean. Links to various publications including conference papers and statistical data from Central Banks in the region. Works pertinent to the Caribbean, and Latin America. Subjects include history, music, literature, biology, political science, sociology, sports, language, and more. Explores the history of the British Caribbean through government documents, photographs and maps dating from the 17th century to the 1920s and discovered during a cataloguing project at The National Archives of the United Kingdom. A searchable collection of poetry and fiction produced in the region during the 19th and 20th centuries. Largest collection of fully searchable 18th- and 19th-century Caribbean newspapers. Essential for research on colonial history, the Atlantic slave trade, international commerce, New World slavery and related topics. An online magazine covering reviews of new and recent books of Caribbean fiction, poems, biography, arts, culture, and current affairs. A multidisciplinary database providing a comprehensive guide to English-language articles pertinent to the Caribbean region. A bibliographic database with short stories written by women in the Caribbean, whether French, Spanish or English. ILO's database of national labour legislation for the 13 ILO member States of the English- and Dutch-speaking Caribbean. Contains the full text of over 32,000 legal cases with headnotes. This Database has RESTRICTED access and can only be accessed via username and password. . Please contact the Law Librarian for further information. Information service of the School of Education, The UWI, St. Augustine. Provides Information on education in the English-speaking Caribbean. A database of the Disaster Documentation Center Collection. Trinidad and Tobago’s legislative material from 1838. Includes volumes of the Federal Law during the years of the West Indian Federation. Digital resources highlighting the people, places, lifestyle, culture and events of Trinidad and Tobago. Held at NALIS( National Library and Information System of Trinidad and Tobago). A large proportion of the articles included are written in Spanish or Portuguese. Judgments handed down by the Industrial Court of Trinidad and Tobago since 1965 as well as some Court of Appeal and High Court Judgments related to Industrial Court matters. Access to more than 970,000 historical newspaper pages dating back to 1834. The complete revised laws of Trinidad and Tobago, including all Acts and Subsidiary Legislation. Health Legislation in Latin America & the Caribbean. Comprehensive index of scientific and technical literature of Latin America and the Caribbean. Health sciences literature mainly from or relevant to Caribbean English-speaking countries. Highlights the research output of The UWI Mona Campus. Provides greater details of the contents in each of the library's Special Collections. The SIDALC Alliance provides access to agricultural information generated throughout Latin America a& the Caribbean. Established by the UWI Libraries to provide Open Access to research and scholarship of The UWI community. Published by the University of the West Indies Press. Works include Caribbean history, Caribbean cultural studies, Caribbean literature, gender studies, education and political science. Includes an archive of over 3,500 cases decided in the High Courts and Courts of Appeal of the West Indian States, and Privy Council appeals therefrom.